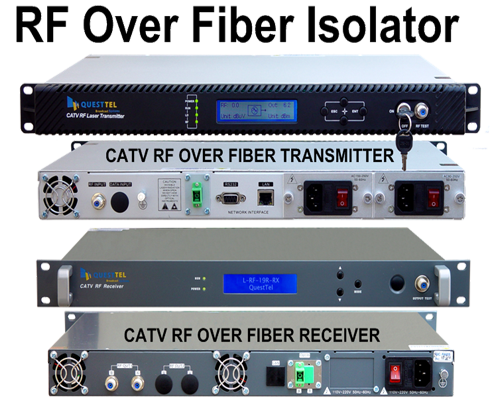 This is our latest high-end two-way output CATV network Fiber Optics Receiver. 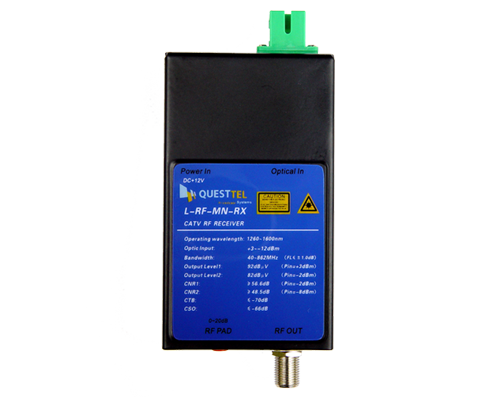 The L-RF-19R-RX is used to convert a fiber optic connection to RF (coax output). This module able to receive optical signals in either 1310nm or 1550nm. The second optical receiver adds further redundancy. 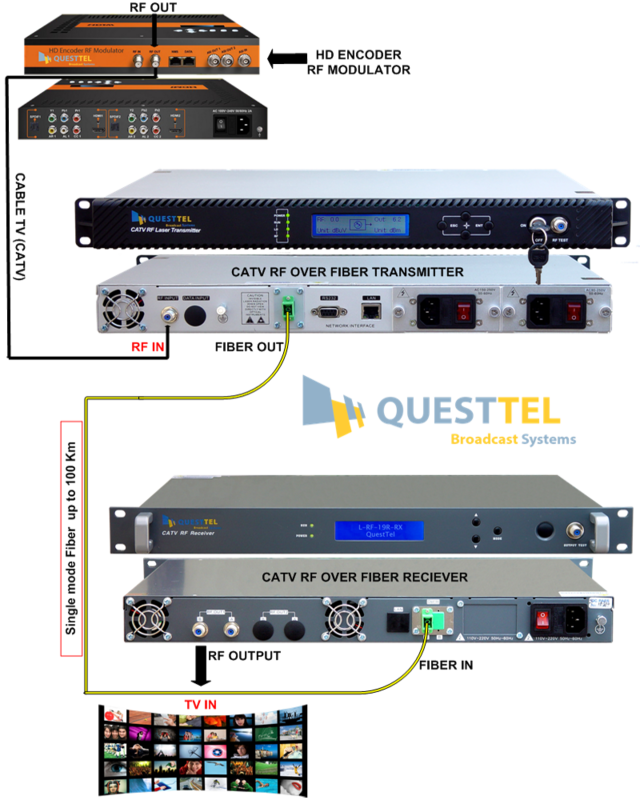 QuestTel's CATV Fiber Optic receivers are designed high reliability with optical AGC (Optical Automatic Gate Control), high level RF output, ease of use, easy to read LED indicators, and suitable for high-level applications. The parameters will be displayed by singlechip to make the engineering debug more convenient. High response PIN photoelectric conversion tube. Optimizing circuit design, SMT production process, optimizing the whole signal path, makesthe photoelectronic signal transmission more fluent. Professional RF attenuation chips, good RF attenuation and equilibrium linear, high precision. 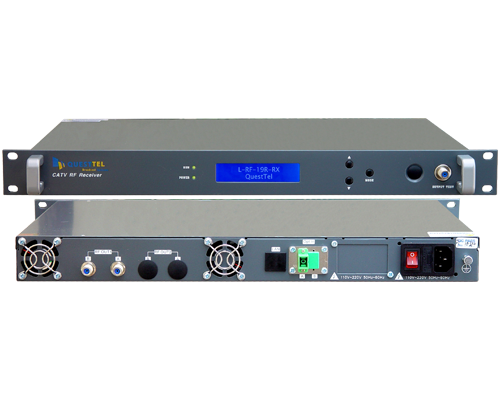 GaAs amplifier device, power doubly output, high gain and low distortion. Singlechip controls the whole work, digital display the parameters, easy and intuitive operation,and stable performance. Excellent AGC characteristic, when the input optical power range is -9 +2dBm, the outputlever remain unchanged, CTB and CSO basically unchanged. 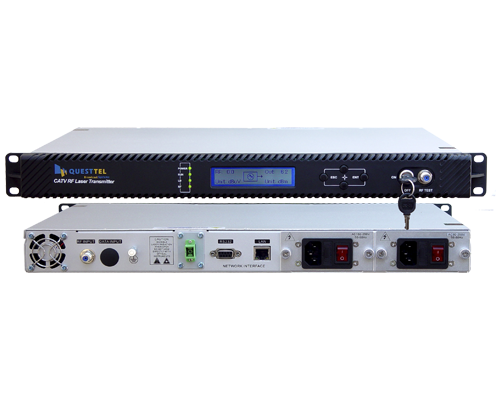 Reserved the data communication interface, can connect the Ethernet transponder, access to thenetwork management system.